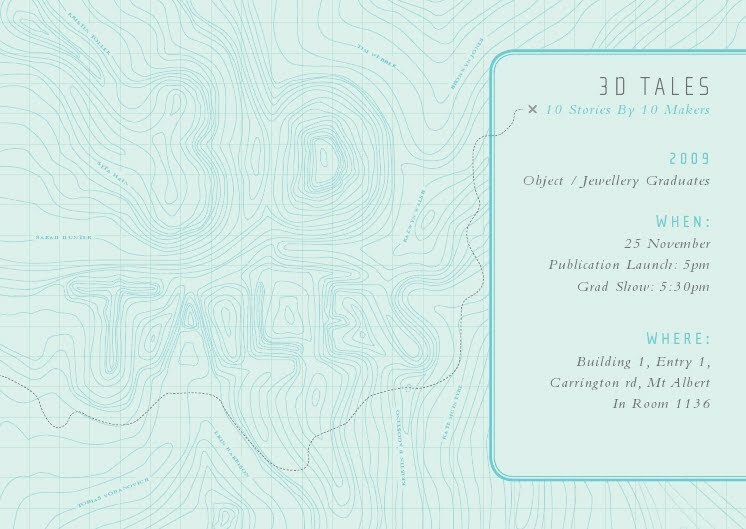 The object and jewellery graduates from Unitec created a lovely little end of year publication called 3D Tales (full disclosure, I am part of that group). It is a delightful object to behold, if I do say so myself. We were all so pleased with the photographs taken by Jessica Goodall and the excellent design by Mark Lovatt. There is an introduction by Pauline Bern and Ilse-Marie Erl, critical essay by Matt Blumeley of Objectspace, and end note by Kim Meek. This entry was posted in 3D tales on December 3, 2009 by kristindagostino.